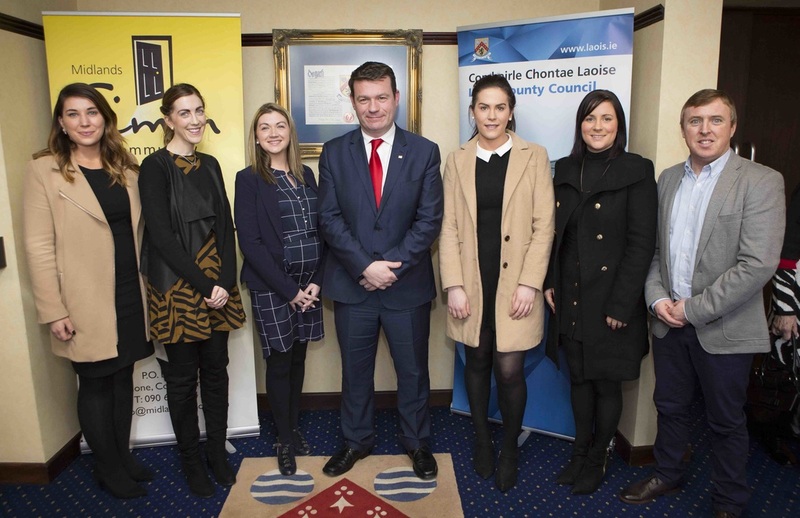 On Tuesday the 2nd of February 2016, Minister Alan Kelly T.D (Minister for the Environment, Community and Local Government) officially launched the Midlands Simon Community`s new Regional Support Service for Homelessness. This service is supported and funded by the four Local Authorities in the Midlands Region, the HSE and the Department of the Environment, Community and Local Government. It is a significant development for Midlands Simon Community and has been developed under the direction of the Management Committee of the Midlands Regional Joint Consultative Homeless Forum and in particular the four Local Authorities of Laois, Longford, Offaly and Westmeath and the HSE. The service will provide a continuum of interventions as directed by the Local Authorities. The service will deliver preventative interventions that will support individuals, couples and families who are at risk of becoming homeless, through to supporting people who are in emergency accommodation and helping them to move from the instability of homelessness to the security of their own home. This service will have the capacity to work with 88 cases at any one time across the Midlands region. The staff of the Regional Support Service are very fortunate to share with and travel along a journey with Service Users, helping them every step of the way to rebuild their lives and empowering them to achieve their goals to move out of homelessness. Our services see first hand the devastating impact of what it is like to be homeless, to have no place to call your home, not be able to provide stability for your family, living with addiction and suffering mental ill health. In 2017, the service worked with 197 cases, which was made up of individuals, couples and families. Murtagh Report (June 2013) commended the Regional Support Service for the number of cases that it worked with and for the effectiveness of the service in producing sustainable housing solutions for people at risk of and experiencing homelessness. The review concluded that homeless support services within the Midlands had attained the highest level of cost effectiveness in the state. To download the Murtagh Report (June 2013) click here.